The BrainScaleS project aims at understanding and emulating function and interaction of multiple spatial and temporal scales in brain information processing. The fundamentally new approach of BrainScaleS lies in the in-vivo biological experimentation and computational analysis. Spatial scales range from individual neurons over larger neuron populations to entire functional brain areas. Temporal scales range from milliseconds relevant for event based plasticity mechanisms to hours or days relevant for learning and development. In the project generic theoretical principles will be extracted to enable an artificial synthesis of cortical-like cognitive skills. 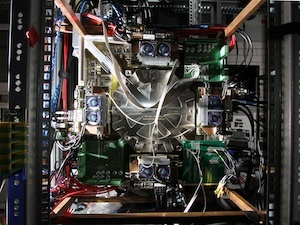 Both, numerical simulations on petaflop supercomputers and a fundamentally different non-von Neumann hardware architecture will be employed for this purpose. Neurobiological data from the early perceptual visual and somatosensory systems will be combined with data from specifically targeted higher cortical areas. Functional databases as well as novel project-specific experimental tools and protocols will be developed and used. New theoretical concepts and methods will be developed for understanding the computational role of the complex multi-scale dynamics of neural systems in-vivo. Innovative in-vivo experiments will be carried out to guide this analytical understanding. Multiscale architectures will be synthesized into a non-von Neumann computing device realised in custom designed electronic hardware. The proposed Hybrid Multiscale Computing Facility (HMF) combines microscopic neuromorphic physical model circuits with numerically calculated mesoscopic and macroscopic functional units and a virtual environment providing sensory, decision-making and motor interfaces. 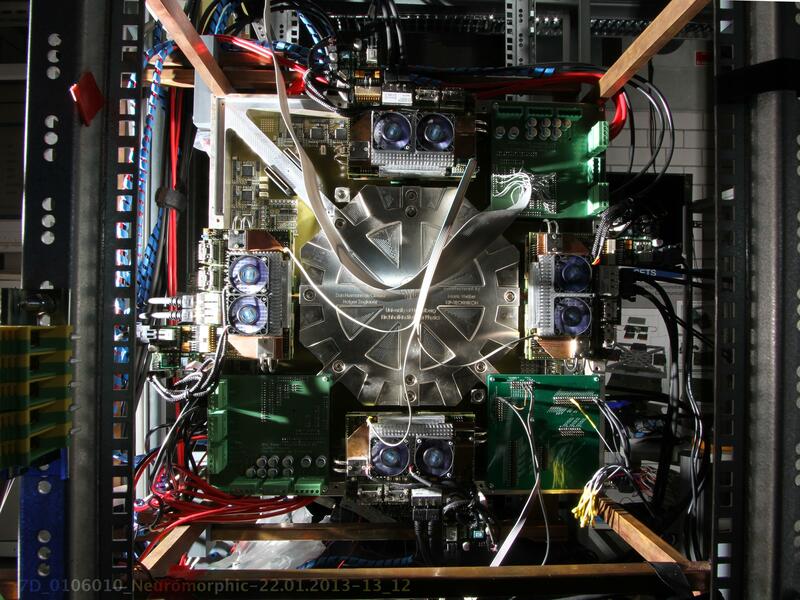 The project also plans to employ petaflop supercomputing to obtain new insights into the specific properties of the different hardware architectures. A set of demonstration experiments will link multiscale analysis of biological systems with functionally and architecturally equivalent synthetic systems and offer the possibility for quantitative statements on the validity of theories bridging multiple scales. The demonstration experiments will also explore non-von Neumann computing outside the realm of brain-science. Together with other projects and groups the BrainScaleS consortium made important contributions to the preparation of the Human Brain Project (HBP). 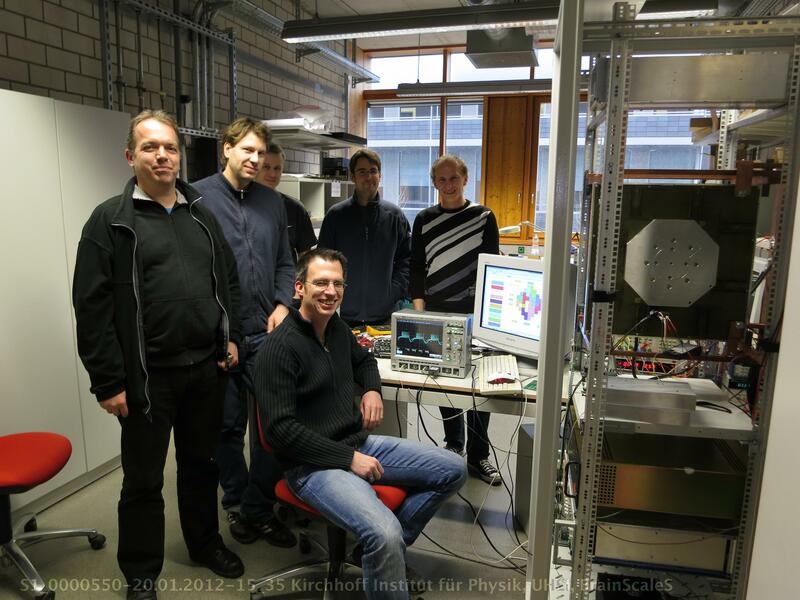 The HBP recently passed (28 Januray 2012. press kit) the extensive scientific evaluation as an FET flagship and is now expected to start in the second half of 2013. This project will address the understanding and exploitation of information processing in the human brain as one of the major intellectual challenges of humanity with vast potential applications. 31 March 2015: End of the BrainScaleS funded project. 28 January 2013: The FET flagship Human Brain Project (HBP) has been approved (EU press release and press kit at EPFL). Several BrainScaleS partners are proposal partners. 31 January 2011: The 'FACETS live system' (a bootable ubuntu live system to explore PyNN with the software simulators NEST and NEURON) is available for download. The system is described here on the UHEI Electronic Vision(s) page (with download link). The BrainScaleS project was built on the research carried out in the FACETS project (2005-2010) and worked for student education also together with the Marie-Curie initial training network FACETS-ITN.